The following links to home plans web sites are web resources where we have found some great home plans. Keep in mind there are literally millions of home plans available from various web sites. The more you can narrow your search, the closer you will come to finding the plan closest to what you are looking for. Do you want to change your home plan? 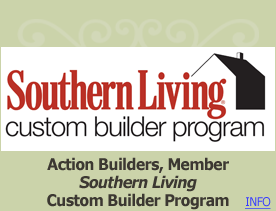 Action Builders can do it for you! The following links will provide more information about the Huntsville, Madison, and Madison County area. We will gladly assist you in your research if you have any questions.